Seekers of truth exist in every age. As increasingly we are living in a world where people have less and less time for the Essence, we are often tempted to think that in this age of Wall-Street, stock exchange, hot jobs in the corporation and credit card crunch – who would have time to seek those matters that has very less to do with the perishing material world but all to do with the everlasting hereafter, the Kingdom about which every Messenger transmitted to humanity. The Quran promises: “falan tajida lisunnati Allahi tabdeelan, wa lan tajida lisunnati Allahi tahweela” - You will never find in the way of Allah any change, and you will never find in the way of Allah any alteration.” (The Quran 35:43). Thus the Way remains always open and the seekers are drawn into the irresistible attraction of the Divine yearning in this age like every age in the past for the Divine is The Irresistable, al-Qahhar. Maryam Kabeer Faye is one of such contemporary seeker who was pulled by the Divine yearning to seek and embarked on an extra-ordinary journey that continues in our time. 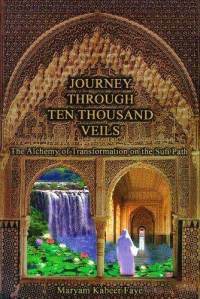 Out of her journey came the wonderful book called, "JOURNEY THROUGH TEN THOUSAND VEILS, The Alchemy of Transformation on the Sufi Path." About the book, Marcia Hermansen, Director of Islamic Studies Program at Loyola University writes, "From 1960s Berkeley to India, Iran, Jerusalem, Europe, Sri Lanka and Senegal - Shaykha Maryam Kabeer Faye's amazing account of a spiritual odyssey through religious traditions describes her encounters with some of the great guides of the past 40 years and continually offers fresh vistas and deep insights. This is Islamic Sufism from the inside; powerful, authentic, and inspiring. Read this book and believe." I recently received permission from Shaykha Maryam to interview her for the readers of Technology of the Heart. In this post I would like to introduce Shaykha Maryam Kabeer Faye, her extra ordinary journey in spiritual seeking and her wonderful book, Journey Through Ten Thousand Veils. In this post I have compiled reviews of the book and her past interviews to give a glimpse of her journey and background as well. Being a contemporary seeker and now a Sufi Teacher, Shaykha Maryam is an important exemplar of our time. When she was twelve years old, Maryam Kabeer Faye was given a painted scroll of an ancient wanderer, upon which were inscribed the words: Seek and The Truth Shall Make You Free. This message galvanized her soul and determined the course of her life. Following the call, she set out on the journey, internally and then externally, and was guided around the world many times, from one remarkable being to the next, everywhere collecting messages and clues. Born in a Jewish family, she was led to live in India and Nepal, and in monasteries in Europe, and then guided to embrace Islam at the hands of an ancient Sufi Master a few minutes away from the tomb of the Prophet Abraham. She then was guided to study intensively with Sufi Masters around the world. Her journey to the holy places and people of the earth, led her finally to Africa and the deep truth that all lives are totally interconnected and united with our own. This profound realization dispelled the great myth that the creations of the One Most Loving Creator can be separated by any racial, national, or cultural distinctions. Guided in her journey of profound transformation and illumination to many extraordinary places and understandings, ultimately to the realization of the deep truth that all lives are connected and united in the oneness of the Creator. This book is a significant and revealing social commentary, also dispelling many other myths and stereotypes such as the proposition, often fostered by the media, that women are inevitably oppressed in Islam. On the contrary, it is by entering into the heart of Islam that the author was liberated, elevated, empowered, and guided to realize the true purpose of her existence. Kabeer Faye paints a picture of a glorious, golden chain of individuals of all faiths and types who welcome her, contribute to her progress, and accompany her along her way. Descriptions of the many lands she explores and the regions she traverses are intense, vivid and colorful. 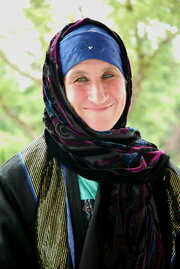 Among them are her childhood and early youth in sixties’ California, her experiences of the warmth and hospitality shown to her in Afghanistan and Pakistan before the region became wracked by war, and a moving description of her pilgrimage to Mecca that reveals its inner meaning to a believer of deep faith. 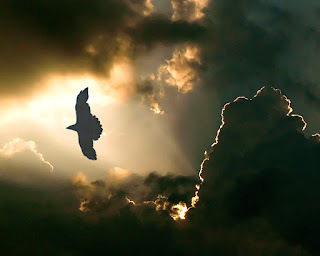 The stages of the inner journey are revealed synchronistically with the outer journey, which led her to so many realms. Her encounters with masters and teachers of various faith traditions in India, Europe, the Middle East, and America, and then culminating in Africa, are recalled with insight and reflection, and she makes many astute observations about how their teaching is heard and understood differently by people in different states of awareness. By the will of God, her journey into the heart of Islam was directed by Sufi Masters she was destined to meet: Sheikh Bawa Muhaiyaddeen in Sri Lanka and Philadelphia, Sheikh Abdoulaye Dieye and Sheikh Aly Nadaw in Senegal and other parts of the world . Under their guidance, she found the eternal truth brought by all the prophets and messengers sent by God to humanity. Her quest for liberating truth and divine knowledge led her to Sheikh Harun Rashid Faye of Senegal, West Africa, from whom she received the blessing of the Mustafawiyya Tariqat. Through intensive training, she became a Sheikha in this noble Sufi Order. A journey of leaving the world as we know it in order to return to the Source, Journey through Ten Thousand Veils is the story of striving to give up the world while still remaining in the world, to make the return to the light. Maryam Kabeer Faye being a speaker and writer on Islam, sufism, and spirituality also travels extensively throughout the world on the mission of building bridges of light, knowledge, and understanding. Below are some of her interviews in other media. ++ Your Question to Shaykha Maryam: For the upcoming Interview to be published here, if you would like to ask a question for Shaykha Maryam, which will be part of the interview, please post your question as comment to this blog post by clicking here.